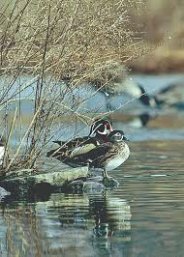 Ducks Unlimited, Inc. ($75,000)The Fund for Lake Michigan is supporting Ducks Unlimited with this $75,000 award to promote wetland restoration of the Duck Creek Delta in Howard, WI. By focusing on shoreline protection and restoration of the shallow water habitat behind the Cat Island Chain with engineered log jams, Ducks Unlimited will rehabilitate this wetland complex to revitalize its fish and wildlife along the coastal wetlands of Green Bay. Not only will this work benefit local wildlife and provide shoreline protection, but it will also benefit water quality. The restoration activities will take place over a two-year period.